Below we review our picks for the best 7-inch to 8-inch tablets including Android and Apple iOS models. At the bottom of this article we also have a spec comparison chart so you can easily compare one tablet versus another. If you want a device that you can carry with you everywhere, consume media like music and movies, browse the web, use apps, and play games then a small tablet might be for you. You might say your smart phone can do all those things, but don’t you get tired of looking at that tiny screen? The small tablet sizes we are reviewing here are those whose screens range from 7-inch to 8-inch (well technically up to 8.4 inches). For those of you looking for an even bigger screen check out our top picks in the 9-inch to 10-inch range and those even larger. With prices ranging from about $50 to $500, there are both high-end tablets with amazing performance and dazzling displays to those that are more affordable that get the job done, but don’t look as nice or perform quite as well. Buyers should note that the prices we list are for the cheapest option of that model available – you will have to pay more for things like more storage or 4G data. One spec you might really look for is pixels per inch, or PPI, which tells how good your display will look – the higher the better. The $320 Huawei MediaPad M5 8.4 tops our rankings as the best 8-inch tablet. This Android tablet has the best screen in its class with a 2560×1600 resolution and an amazing 359 pixels per inch. The internal components and specs are excellent for this price. It also has long battery life at around 10.6 hours on average. One flaw with the Huawei MediaPad M5 8.4 is that you cannot use Bluetooth and Wi-Fi at the same time. That means you can’t listen to Bluetooth headphones while streaming content. Also there is no headphone jack, but it does come with a USB-C to 3.5mm adapter to plug headphones in. Despite being over 3 years old, the Apple iPad Mini 4 still ranks as one of the best 8-inch tablets. It is beautifully designed, lightweight, thin, and the performance will not lag. Although at $329.99 it is one of the most expensive models on our list, so for just a bit more money you could step up to the Apple iPad 9.7 or similar device. 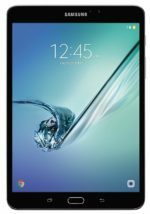 The $347.97 Samsung Galaxy Tab S2 8.0 could just as easily be our choice for second best small tablet and is a worthy contender to the iPad Mini 4. This Android device is the thinnest and lightest 8-inch tablet on the market at just .22 inches thick and weighing just .58 pounds. It has outstanding performance, however the battery life was bit disappointing with most tests coming in at just over 7 hours. At just $80 the Amazon Fire HD 8 is the cheapest 8-inch tablet to make our list and the best tablet under $100. 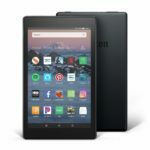 The latest 8th generation of the Fire HD 8 was released in 2018 and featured some nice upgrades over previous versions. 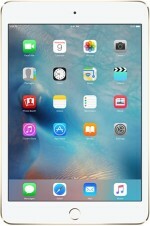 The screen is 1280×800 pixels with 189 ppi. The performance is decent, but not comparable to the top 3 slates on this list and the battery life was pretty good at about 10.5 hours on average. One negative is that the Amazon Fire tablets don’t let you use Google Play apps. 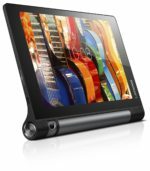 However, if you are an Amazon Prime member and want a tablet to primarily watch movies and shows then this is a great budget tablet. 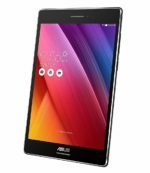 Perhaps the best value 8-inch tablet is the Asus ZenPad S 8 which sells for about $210 and features a display with 326 ppi. It performs strongly enough for most tasks, has a quality design, and great front-facing speakers. However, it comes loaded with unnecessary software and the battery life is poor at about 6.3 hours. A price under $200 and long battery life of around 13 hours on average highlight the $198 Samsung Galaxy Tab A 8.0. The screen and the specs are a bit weak, but you get what you pay for. 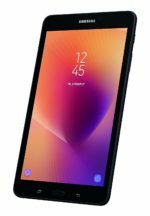 If you want a long run-time and don’t care for the most brilliant display then you should consider the Samsung Galaxy Tab A 8.0. A decent price, surprisingly snappy performance, bright display, and decent battery life are the pros to the Lenovo Tab 4 8 Plus which sells for about $220. 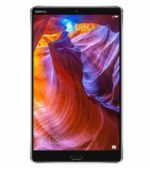 The Lenovo Tab 4 8 Plus is a pretty good value in terms of performance for the price. If long battery life is the most important feature for you, then we highly recommend the $140 Lenovo Yoga Tab 3 8. It gets around 16.5 hours of battery life with mixed use. The innovative design puts a battery cylinder and kickstand on the side of the of the device which lets you hold, stand, or hang it up. It also has a rotatable 8 MP camera and Dolby Atmos speakers that sound great. On the downside the processor is a bit weak and may struggle with gaming or other processor-intensive programs. 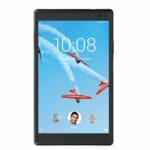 The budget Lenovo Tab 4 8 is very light and thin and sells for about $127. The specs and display are less than impressive, but are not a bad value at this price. If you are looking for a tablet in the range of $100, then you should consider the Lenovo Tab 4 8. 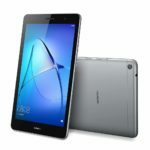 Buyers should consider the Huawei MediaPad T3 8 if they are looking for a cheap 8-inch tablet. Compare Tablets ranging in size from 7 inches to 8.4 inches.